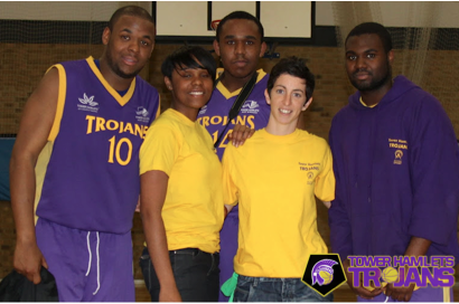 Trojans was set up by four basketball coaches that loved the game of basketball. The main reason for this was to fill the gap of our predecessors. Trojans has been supported by the local council and we thank them for their support so far. This is Trojans fourth year, and we are on our way to becoming a very successful club winning a number of local leagues and coming in high positions in many others. We aim to make basketball in the borough of Tower Hamlets much more accessible for all ages. Trojans want to engage young people into something positive, make basketball more accessible to all, to grow as a club and to sustain the club. So far we have meet our targets. We run a number of sessions. Theses are open to boys, girls, women and men. These take place throughout the week. We also run a number of teams from the age of 14+, these include a boys, girls, mens and a newly formed womens team. We work with the local council running basketball sessions during community days, sports days and park days. This has helped us to engage participants. We give all junior participants the opportunity to take part in a number of officiating and coaching course. We do this so they can develop and hopefully gain experience in the basketball world. So far we have supported a number of top class officials and coaches. We hope to continue to develop our club and we hope that you will support us in out mission. ​Provide opportunities such as courses in refereeing, coaching and officiating. Qualify our existing registered players as officials and coaches in the next year. Make basketball more accessible, taking basketball into the community. Promote basketball in local schools and local community centers.